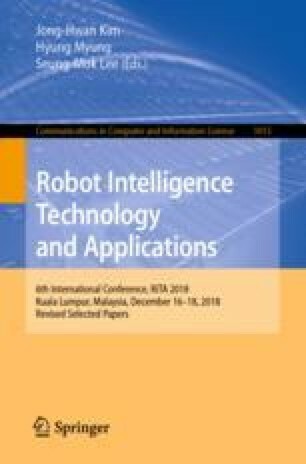 This paper proposes a motion planning method that reduces the thrust of underwater robots moving a manipulator. The proposed method plans motion with 12-degree-of-freedom (12-DOF) for underwater robot, including 6-DOF for Body and 6-DOF for the manipulator. 2-DOF are used for the body’s orientation, roll and pitch and 3-DOF for manipulator position and orientation each. While the robot performs a task, if the thrust of the underwater robot is close to the limit of thruster, the underwater robot reduces its thrust by moving the center of the mass (COM) of the manipulator using null-space control without disturbing the task. The proposed method has been verified via simulation, by planning motion such that the thrust of the underwater robot is reduced under the limit of thrusters.